The true story of Selena Quintanilla-Perez, a Texas-born Tejano singer who rose from cult status to performing at the Astrodome, as well as having chart topping albums on the Latin music charts. The Montalbán’s rooftop oasis – outfitted with a bar, concession stand, and full kitchen – provides an open-air movie theater complete with a large projection screen, state-of-the-art projector, noise canceling headphones, fresh-popped popcorn and even blankets for a chilly night. This year – 2019 – the historic venue celebrates 10 years of rooftop entertainment and enters the fifth year of its ongoing outdoor movie series, now entitled Rooftop Movies at The Montalbán. Initially associated with the UK’s Rooftop Cinema Club, The Montalbán curates films from all eras including Hollywood classics, cult favorites, select current releases, premieres and special presentations with cast and crew when possible. 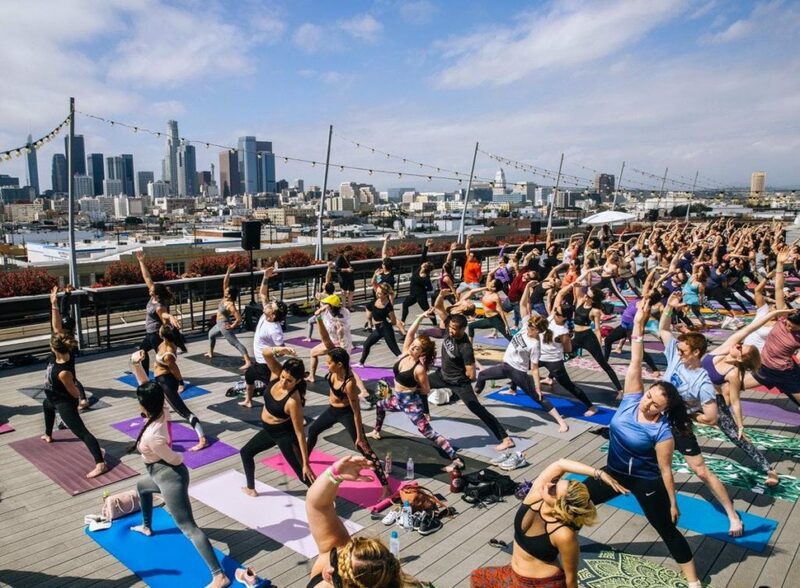 Doors open at 6:00pm, which allows attendees to DRINK beer, wine, mix drinks and the ever-popular hand-crafted Ramos Sangria; DINE thanx to Umami Burger who continues as the venue’s rooftop culinary partner (serving Impossible Burgers much to the delight of many vegetarians); PLAY a game of giant Jenga or ham-it-up in the selfie-friendly Simple Booth area; or CHILL in a relaxing beach chair or loveseat while listening to a hand-selected musical soundtrack in noise-cancelling headphones until the movie begins. See the schedule and buy tickets for Rooftop Movies at The Montalbán here: www.themontalban.com/movies-at-themontalban. * Please be advised that there is no ADA access for the rooftop screenings on our roof. Access to the rooftop screening space is via stairs ONLY, our historical theatre is 100 years old and there is no elevator service. * There is no outside food or beverage allowed. * Age requirement 18 and over.